Here in New England, there is no shortage of critters that want to damage our property. Rodents chew holes, carpenter bees bore holes, silverfish eat wallpaper, carpenter ants carve out galleries, and more. But no bug or wild animal holds a candle to the subterranean termite. Damages done annually by termites in the United States is in the billions. That's a lot of sagging walls, sinking floors, dipping ceilings, and sloping floors--and why it is vital that we do everything we can to prevent these destructive pests from eating away at our equity through every season of the year. Termites are moisture pests. If you have areas that are shaded, they will promote moisture. Reducing shaded areas is a great start for resisting termites. Make sure all of the water that hits your home is channeled out away from your home with a working gutter system. Spring is a time to add landscaping. If you're considering bushes, be aware that it is a good idea to keep a 3-foot barrier between bushes and the foundation of your home. This will keep things nice and dry near your exterior walls, and make it harder for subterranean termites to establish mud tubes on your foundation walls. It will also keep termites from tunneling up through shrubs and entering into your home where branches touch your walls. If you have any wooden areas of your home that touch the soil, this would be a great time to create a gap. If termites have easy access to the walls of your home, they'll take it. Make those termites establish mud tubes to go from the soil to the wood of your walls. Termites come up from the ground to feed on any rotting wood they find. If you use railroad ties, or some other old wood as a border around your garden or flower bed, consider replacing this wood with stones. If there are any wooden objects in your yard that rest on the ground, pick them up if you are able. What happens in fall? Leaves fall. That is probably why it is called fall. And those leaves can make a covering on your lawn that will promote moist soil. It is always a good idea to rake leaves up and prevent them from creating a moist condition that will attract termites and other moisture pests. Leaves can also obstruct gutters when they fall. Check to make sure you have no obstructions that cause water to run over the sides. If you have bushes near the foundation of your home, fall is a good time to trim those bushes. Trimmed bushes allow sunlight to dry the soil that is next to your foundation. And dry soil will help to resist termites. Winter in New England can be cold, and if you battle that cold by burning wood, the best winter tip we can give you is to make sure your wood pile is at least 20 feet from your exterior walls. And elevate your wood pile. As we've discussed, termites come up from the ground to feed on wood sources. Winter is the time of year when you're likely to have damage to your gutter system, and this can lead to moisture next to your foundation during spring. Keep an eye on the buildup of ice and snow on your gutters. While this isn't necessarily a landscaping tip, it plays a part keeping termites away. In every season, it pays to have active termite protection that is maintained by a pest professional. 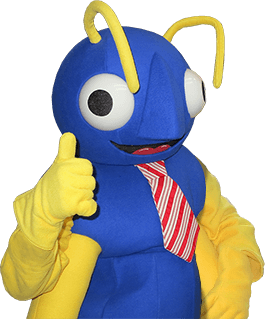 If you need assistance protecting your property from subterranean termites, reach out to Big Blue Bug Solutions no matter what season it is.